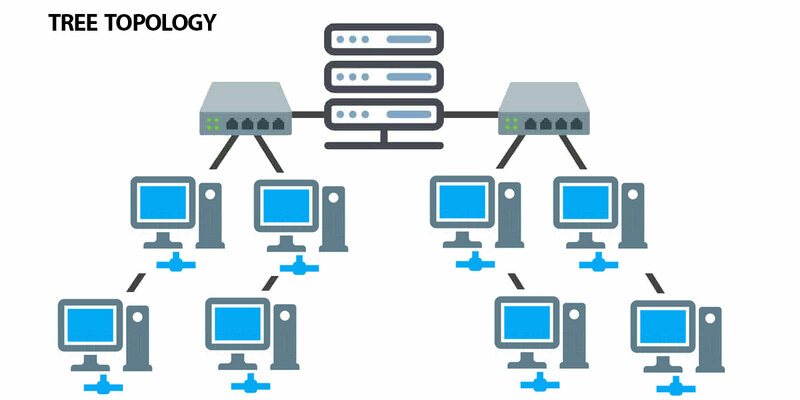 The term topology conveys the connection between the endpoints or station attached to the network connection or the arrangements of the system in a computer. This topology can be either physical or logical. 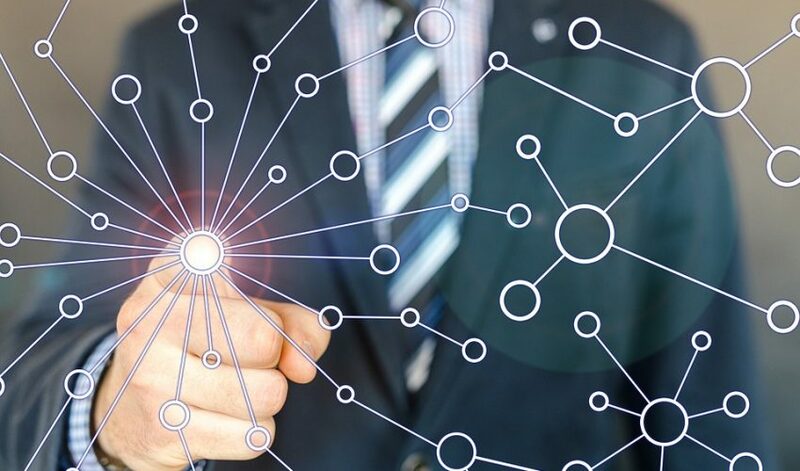 The physical connection or topology refers to the physically laid connection including all devices, their installation, and the location. The logical topology refers to the data transmission in a network designed for. Network Topology plays a major role in Network Cabling including CCTV Installations. 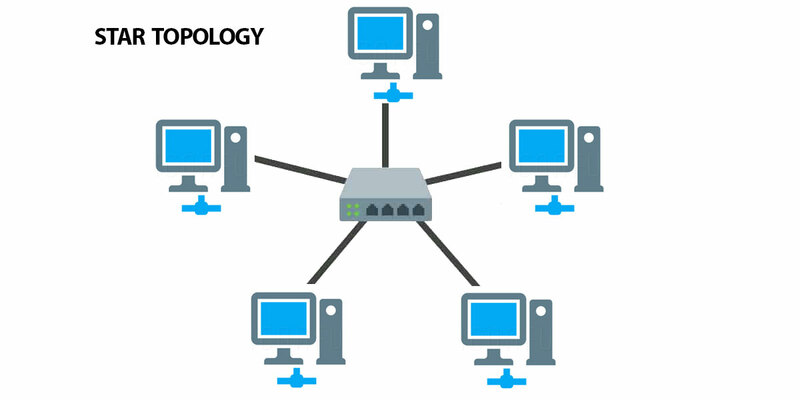 The network topology can be categorized into various types such as a ring, bus, mesh, star, and tree topology. Bus topology is the common backbone of the entire topology. It is characterized by the utilization of multiple points medium. 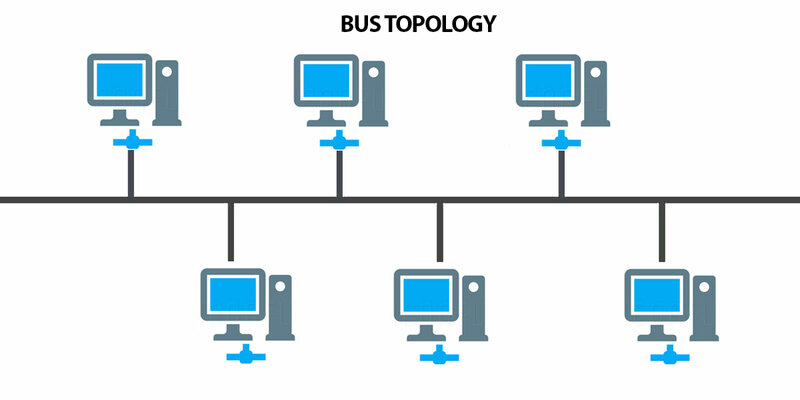 In the bus topology, the computers and the devices are connected to an appropriate tap like structure and the devices are called as a tap. The full duplex data transmission allows the computer to send data and receive the data through the bus. At each end of the bus, the network is terminated with a terminator which absorbs any signal and then removing it from the bus. The nodes are a connection to the bus through drop lines and taps. The drop lines are the connection running between the main cable and the device. The taps are a connector that either splice the sheathing of the cable or puncture the main cable to create a contact with the metallic core. The Ethernet bus topologies are robust and relatively easy to install and does not require much cabling connections. If one computer fails, the other computers are not affected in the network and will continue to work. In a star topology, a central connection point called hub is directly connected to each station through a common node. The star topology does not allow the traffic to directly the devices connected. The controller in the star topology acts as a mediator. The device, who wants to sends data to another device, sends it to the controller. The controller relays the data to the connected device. In a star topology, each device needs one link and one I/O port. The local area network connection utilizes star topology and often high-speed LANs utilizes star topology with a central hub. More expensive than bus topology due to the higher costs of the hubs. 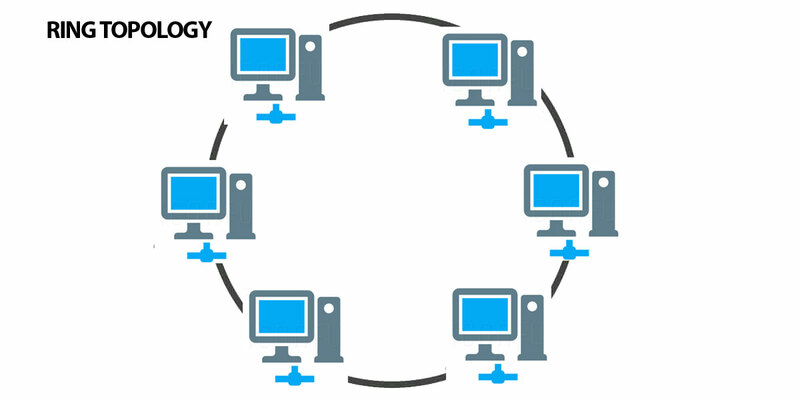 In a ring topology, every device has two neighboring devices to communicate. The network connection in ring topology consists of a dedicated point to point connection and sets of repeaters in a closed loop. The signal is transmitted in one direction either clockwise or counterclockwise from device to device until reaches the destination. When a device receives a data tends to be for another device, its repeater generates a bit and passes it to the other. The data are transmitted in a packet of frames. As the destination recognizes the address, it copies the frame into a local buffer. This ring topology is ideally used on school and college campuses. A tree topology is the generalization of the bus topology. A number of star topologies are connected together into a bus. The transmission medium is a branching cable with zero closed loops. The tree topology begins with a connection from the head. The branches are the various star topologies connected through the hub. Each hub acts the root of the topology. The transmission of the data propagates through a medium and the data can be received to all other stations. The tree topology supports the future expansion of hybrid networking which is much better than bus topology or star topology. The routes concept was introduced through mesh topology. Unlike ring topology, the data can be transmitted and received from multiple sources to destinations. In a mesh topology, every device has its dedicated point-to-point link. This dedicated word implies carrying traffic between the two devices. 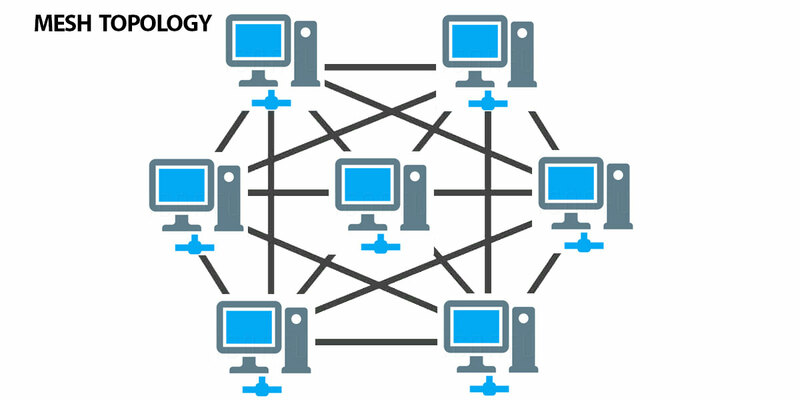 A network in which each device is connected to other through mesh topology is called as a full mesh. The topology is quite robust. A large amount of cabling and I/O ports are required.